With a sea of nearly identical villas and hotels packed into south Bali, when a hotel comes along that offers something really unique, people tend to take notice. Named after the first spacecraft to land on the moon, Luna2 has a modern retro vibe to it. While it’s exterior is certainly eye catching, the interior design scheme will leave you wondering if you’ve been transported back to 1965. With pops of color and vintage inspired artworks hanging on the walls, Luna2 is more of an experience rather than just your typical hotel. Don’t be fooled though, just because it looks retro chic doesn’t mean it’s facilities are ancient! With a rooftop champagne and caviar bar and its own private cinema, Luna2 has everything you need for a luxury Balinese getaway. Its menu is reminiscent of days gone by with beef tartare and chicken liver, if you’re looking for something a little bit different, you certainly won’t be disappointed! At the Luna2 hotel guests have a choice between the studio room, sunset studio and grand studio rooms for their stay. Each room has a different layout and design; they are even named after some of the most exclusive streets in London. 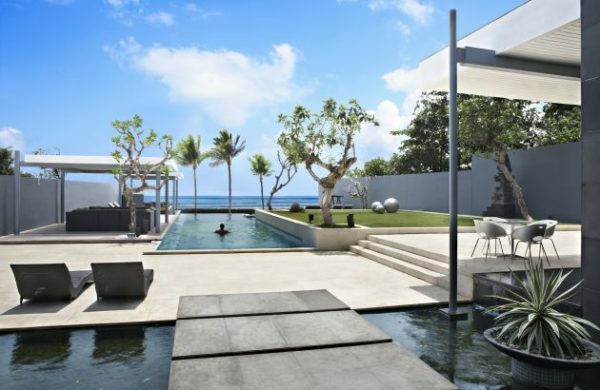 Or, if you really want to have a truly incredible stay, this beachfront villa in Bali offered by the Luna2 is definitely the way to go. With ocean views, 24-hour security guards, and a lap pool featuring Marilyn Monroe’s face, this villa is truly out of this world. Along with access to neighboring Luna2 hotel’s restaurant and spa services, their private hotel also offers 24-hour service. So, if you have a craving for something sweet in the middle of the night, no need to venture out of your exclusive villa just ring up the lovely staff and have them bring it over to you. 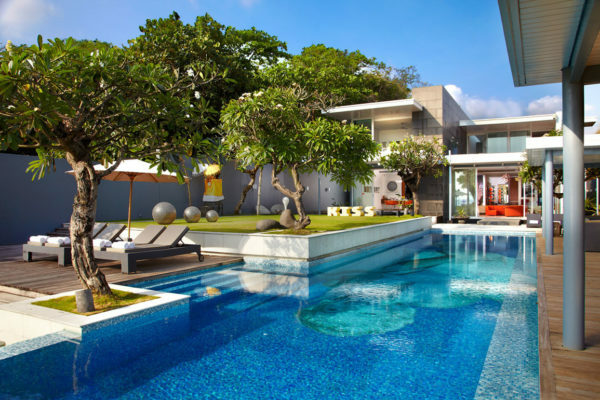 Situated in the tourist hub of Seminyak, guests of the Luna2 hotel and private villa don’t have to travel far to get their fix of boutique clothing retailers, Indonesian and Western cuisine and of course endless amounts of spas and bars! Another great aspect of the Luna2 is the staff’s willingness to help their guests organize activities. While some villas and hotels leave you to fend for yourself, Luna2 can help you sort out everything from a sunrise hike on Mount Batur to private yoga sessions. With 5 bedrooms, 4 bathrooms and its own bar, the Luna2 private villa has everything you could possibly need – including a temporary membership to the Canggu Club which is great if you have some children that need entertaining! 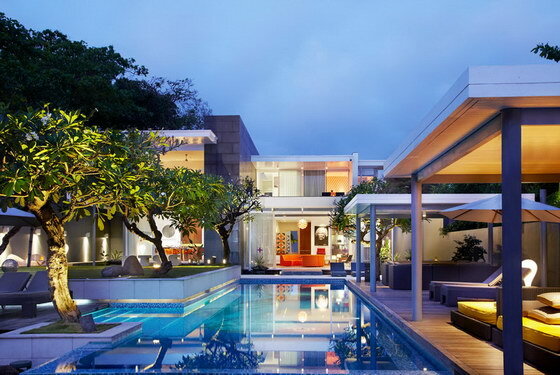 Check out Asia Holiday Retreats for more private villas in Bali and Thailand.